‘Tis the season for peace, joy, happiness, cheer, and noise. 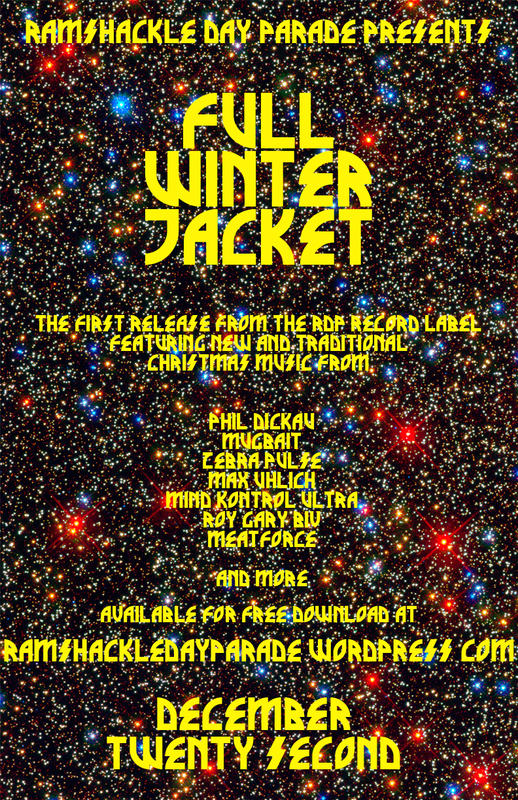 That’s right, finally the release of the Ramshackle Day Parade Christmas compilation titled, “Full Winter Jacket” available for free download. A lot of familiar names here, some local, some distant, all family. 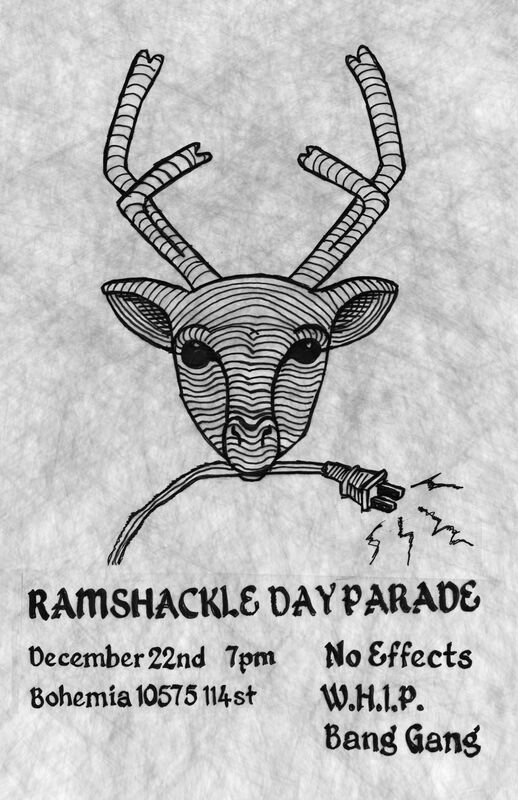 From Edmonton, Ramshackle regulars such as Philip Dickau, Max Uhlich, Meat Force, Mugbait, No Effects, TunnL (formerly Roy Gary Biv), e.q. tweaker, Dutch Hey Wagon, and Zebra Pulse all try to bring the Christmas cheer. Calgary resident MINDKONTROLULTRA hits us hard, our Montreal friend Old Wyoming (formerly Empty Love) delivers a beautiful track, and finally from all over the west Holzkopf blesses us with his presence. 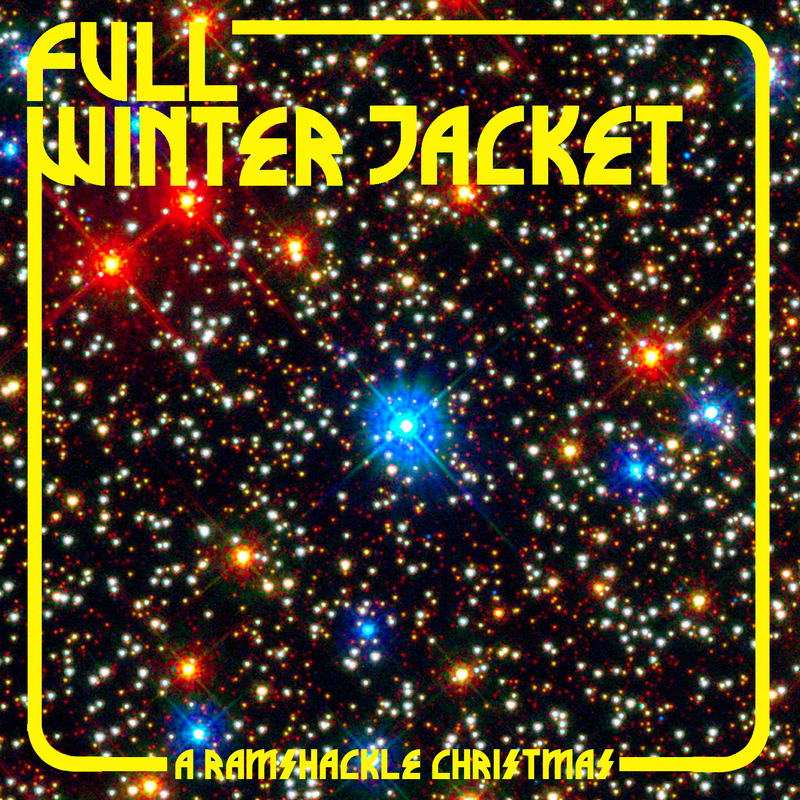 12 tracks of Christmas. HO HO HO HO HO HO! 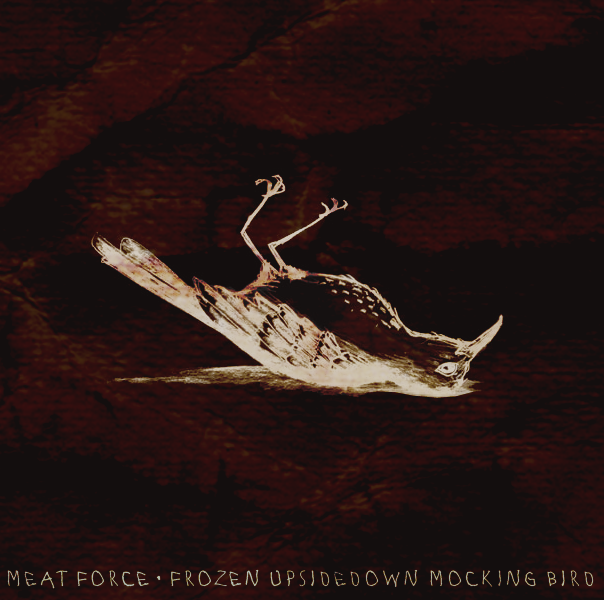 Frozen Upside Down Mocking Bird is the fourth release from Edmonton act Meat Force AKA Joseph Nadeau. The album, like its predecessors, is heavily sample based. 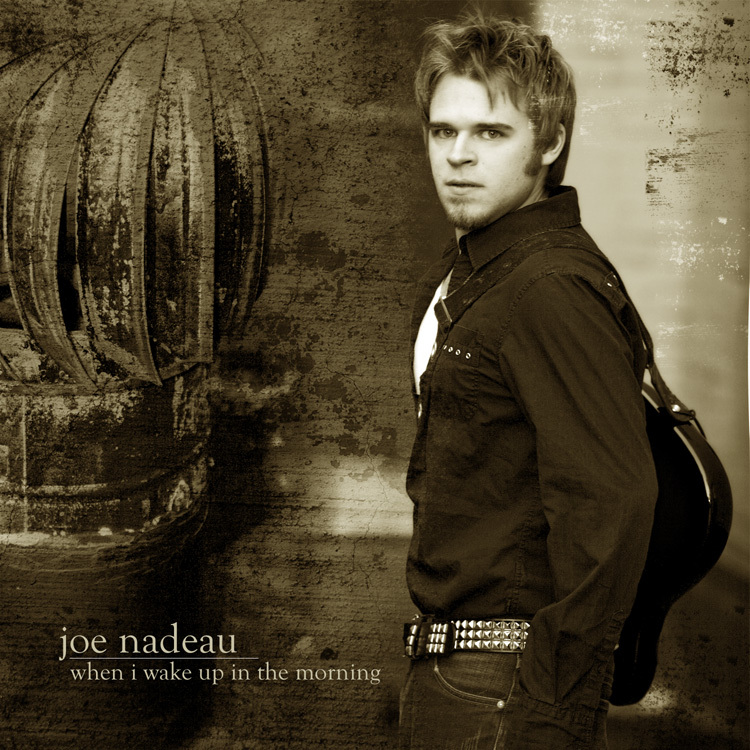 Unlike many other artists who use sampling as a medium though, Joe has supplied us with the resources for his samples, a sort of bibliography if you will. “Upside Down Mocking Bird” is like a carnival ride through the mind of Meat Force, an hommage to everything that has influenced him. The combination of these recognizable sounds together creates an almost comfortable chaos, as the listener is strapped into the seat unsure of where the track a head will take them. The album is free for download, and comes with a few goodies. If you caught the November edition of RDP you were lucky, according to Meat Force that may be the only show he ever plays…… lets hope not. “This is an in progress demo for ‘scrape’, an audio visual piece I’m working on. I’ve performed a preliminary performance of it, but it is an on going learning process. The visual focus is on macro videography, and all of the visuals are achieved completely with my camera (no 3d rendering or design). I used a Canon T2i with a Tameron 90mm f2.8 macro, and a kenko extension tube set. Custom dollies were made with lego and rubber washers to smooth out the lego wheel motion. The visuals are a little rough at the moment, very little post processing has been applied. 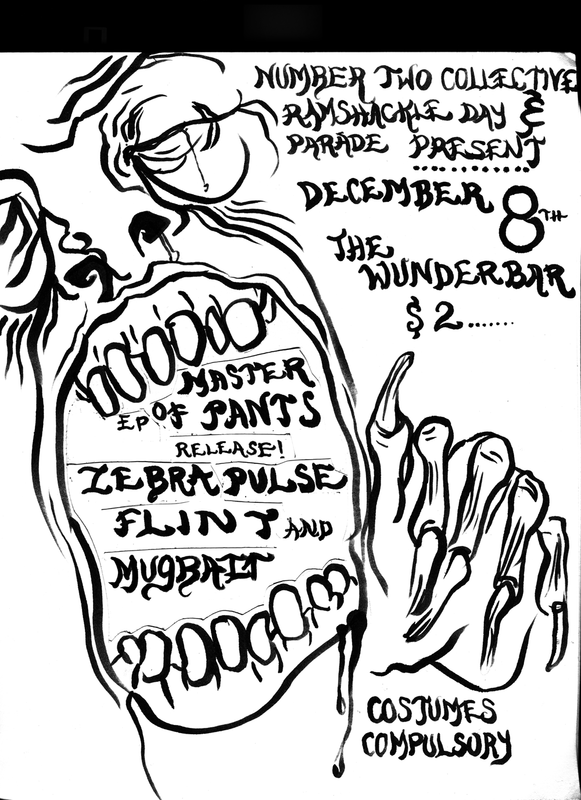 Also featuring the improvised dance stylings of Eryn Tempest. What a lovely night. Lovely video, lovely sound, lovely people, and lovely recordings.